Former Speaker Newt Gingrich (R-GA) has joined in on the conservative hard line against WikiLeaks head Julian Assange — saying that he should be treated as an enemy combatant. In addition, Gingrich has added his voice to those praising Secretary of State Hillary Clinton, if only as a means of damning President Obama by comparison. During an appearance last night on Greta Van Susteren’s show, Gingrich was asked about Assange’s statement that Clinton should resign, due to the practice of having diplomats gather intelligence. 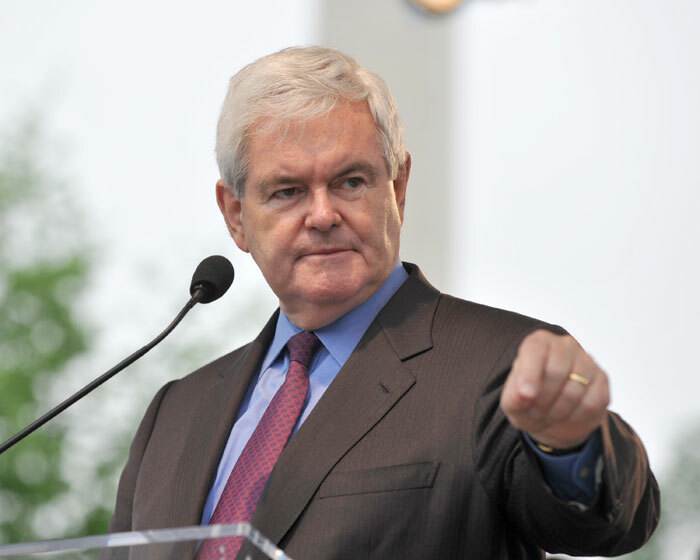 “Two quick thoughts: The WikiLeaks guy should be in jail for the rest of his life,” said Gingrich. “He is an enemy of the United States, actively endangering people, and he’s gonna get a lot of folks killed. And I think that’s a despicable act, and we should treat him as an enemy combatant, and as an absolute enemy of the United States.”“Second, I’m proud that Secretary Clinton actually cared about national security, actually was trying to gather intelligence. And I wish we had more aggressive leaders in the Obama administration who thought that defending America was their first job, and being liked by foreigners was a far distant second. So I think that she ought to be praised for trying to gather intelligence, not in any way attacked or condemned. One thing that seems to have escaped the attention of Gingrich, Christine O’Donnell and other conservatives who are holding up Clinton as being superior to Obama and the administration: Clinton works for Obama, and conducts policy on his behalf as a member of the administration. And under the principle of collective cabinet responsibility, by which Clinton’s actions are the administration’s actions, Obama is indeed a participant in the activities that are supposedly better than himself.